The following is from a collection of articles first published in the Beach-O-Gram, and collected and reprinted in 2000 by Sandy Jackson. Those who lived on the beach during World War II will well remember the noise and vibration from exploding torpedoes, the sky at sea lit by burning tankers that were unfortunate enough to be spotted by a German submarine, also oil-covered and burned seamen who were fortunate enough to make land. Tankers and cargo vessels operated closer to the coastline than normal to avoid U-boats, but the U-boats also moved closer in to sit on the bottom and wait for a victim to come along. 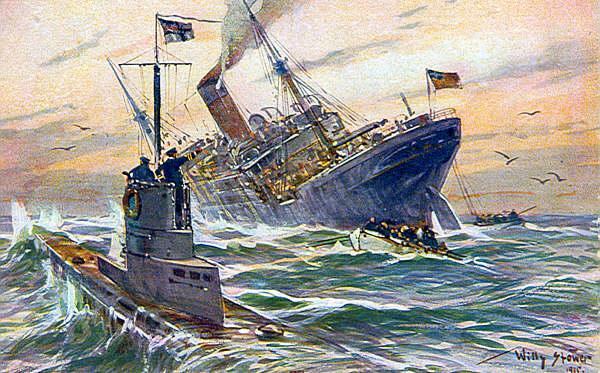 Forty-eight or more ships were torpedoed and sunk along our coastline. Many of the wrecks have been accounted for and their location inside the Gulf Stream marked. Many more probably lie beyond. The moving cost to a family was $50. The barracks cost $250, the lot $200. Thus, for $500 total, many early KB families started their first home. Dub and Hazel Heglar were married in 1942 before Dub went off to war (WWII). Dub’s nickname resulted from his sister not being able to pronounce his initials – J. W. It’s been Dub ever since. Dub spent almost 3 years in the Navy in World War II in the Pacific. The Heglars came to Kure Beach on vacation in 1946 after Dub came out of the service. Moving Houses- In September ’48, after meeting Walter Winner at Ft. Fisher, they stayed permanently and Dub went into partnership with Winner doing commercial fishing, construction work, and moving houses. They bought two Army 4-wheel drive vehicles, weapons carriers from the Army, and built a trailer to move the tiny match box houses. The moving cost to a family was $50. The barracks cost $250, the lot $200. Thus, for $500 total, many early KB families started their first home. When the Heglars moved to Kure Beach in 1948, son Harold was almost a year old. Harold went to New Hanover and is now fire chief of Kure Beach. Son Jerry, born in New Hanover County at James Walker Hospital in 1951, was in the first Hoggard graduating class. Heber Johnston was a doctor at Carolina Beach in the 50s. Dr. Sharon, a Carolina Beach doctor before moving to Wilmington, was around the yacht basin all the time. When someone got hurt around the boats, he had needles and thread in his pocket to sew them up right there. Fort Fisher Blvd was called Second Street when the Heglars moved here in the 40s. Most buildings in the old part of Kure Beach from N Street to Hanby Beach were owned by International Nickel. It was first owned by Ethel Dow Chemical Company with a big plant over on the river shore on the back road with test stations at LaQue. Ocean water was pumped from the Atlantic Ocean to the plant for bromide. Jack Lewis worked and retired from there. Dub remembers when that area was all trees and very beautiful. The Hanby area and much of Wilmington Beach were owned by Lawrence Kure and Glenn Tucker. When the Heglars came here, they lived in Wilmington Beach for about two months; then moved to Spartanburg Avenue; and later across the street from the Lutheran Outdoor Ministry. The building just north of it is where army buildings were moved from Battle Acre at Ft. Fisher. They lived in one of the inner’s frame houses until ’49 and sold the business across the street from the Lutheran Church in 1964 where the Outdoor Ministry is now. They then built rooms to rent and a 5-room house on the ocean. One of their 12 or 13 year old sons got caught in the ocean rip current. Dub swam out to get him. Dub had to relax till the current carried them all the way out. When the rip current turned Dub lose, he swam with an arm lock bringing the child to shore. There were two houses just alike near the northern extension fishing pier in Carolina Beach. Hurricane Hazel put one house in the marsh near the inland waterway and the other about a block away from where it was supposed to be. The owner said she’d give him one house if he’d put the other one back on the foundation where it belonged. People didn’t have a lot of money, so they traded for services. His house has been moved 3 times. Dub wanted off that highway after heart surgery. They had an air conditioning window unit over on the ocean but got central air just after they moved the house off the highway about the mid 80’s. When Dub went to work for Kure Beach, the only streets from the south of Kure Beach to the north end were E, F, G, H, I, J, K, L, M and N. The furthest over, 7th Street, was only one block long. It stopped the other side of the Baptist Church. The government line came through that next block, down to I Street, but was never developed as a street. And the line came where there are 3 houses on 6th Street. The government line goes way down to the only house on that side of 5th street. Then the government line cuts back into 5th Street and comes straight down here. 7th Street used to be over to 9th Street. The government line went from E to N and from Atlantic to about 7th in odd shapes. Before Dub went to work, you could go over to 9th Street. But the government took all houses built over there for a buffer zone, so most houses were moved. The land grew back into vegetation. Most of the Museum and the Air Force Base are in the buffer zone. World War II The Army during World War II had a few houses on the ocean front and a lot of cottages on that side of the road. They patrolled all around there. People who lived here could see burning ships that German submarines had torpedoed at night. The Air Force wanted to put in radar. They got a Fayetteville outfit to do the construction work. Some of the buildings are left from the Army days. The Air Force Recreation Center was part of the World War II base for advanced training for soldiers getting ready to go to the war zone. Some of the original buildings are still there. The state owns a chunk of land – Ft. Fisher State Park, the Aquarium, and the Civil War battle historic site. Hugh Morton owned the land where the Aquarium is and gave that to the State. He owned Grandfather Mountain and he also owned the shopping center where K & W Cafeteria is located. Sunny Point came in about 1955 and condemned and declared a no-building zone or bought all the land. All that property back of Dub’s house, all the way to the river, was owned by Davis Brothers (around a hundred acres of farm land). Dub’s house is only 30 feet from the buffer zone. Carolina Beach had a lot of houses in there. There is also a Baptist church; a Methodist church cemetery and the Newton family cemetery.